Takes 3 minutes to read. Too busy right now? Save it and read it later! I was recently reminded of the power of having a simple coffee break, in Sweden known as “fika,” and what it can do for your business. It was a few weeks back and I was meeting with the CEO of a digital agency. The CEO and I were sitting in one of their cocoon-like conference rooms. We were discussing Bondsai’s product to help me better understand how our value proposition is solving their problems. This CEO had taken over the position a few years ago and had to quickly find his bearings. His background was mostly in technical management so sales weren’t exactly his favorite activity on the agenda. Social capital is one of the most important assets of an agency, why he decided to start with following up on the existing customers in the CRM system. One of their previous customers was another agency his agency had done some work for as a sub-contractor. He’d never met this agency or their project manager as this had happened under the previous CEO. In order to build his network, he decided to make a phone call. Initially, as I understood it, just to get an idea of the previous work done and make their acquaintance. In typical Swedish style, they decided to meet for a fika. For those not familiar with the concept, fika (pronounced fee-kah) is basically a coffee break but also much more. People use fika as a noun or verb. It can represent the activity of having coffee together along with some light food. The word may also refer to the light meal itself, whether it’s cinnamon buns, cake or sandwiches. Fika also has a strong social, cultural and organizational function. Common knowledge in Sweden has it that some of the most significant decisions are made during fika. The fika break is sometimes a more important forum than many board meetings. The bottom line is, if you want to function well professionally in Sweden you must embrace the ritual of fika. So, as planned, a week later the CEO met up with the project manager at the other agency under the auspices of fika. An hour later he returned to his office with a new project in his hand. Clearly, fika is about more than drinking coffee and offering projects to strangers. In this case, the fika helped establish the rapport and trust needed for the project manager at the other agency to outsource the work. While the significance of fika holds true in Sweden (as well as Norway and Denmark, though under other names), the value of small meetings is universal. My primary takeaway from this story was how little organized effort it sometimes takes to win new work. Many agency owners I’ve talked to resent having to “hustle” their services. Many argue that a good thing doesn’t need active sales and marketing. Unfortunately, that is often not the case. But the sales and marketing work doesn’t have to remind you of the shady car salesman hustling wrecks under the highway overpass either. Sometimes effective sales work consists of just meeting for a fika. 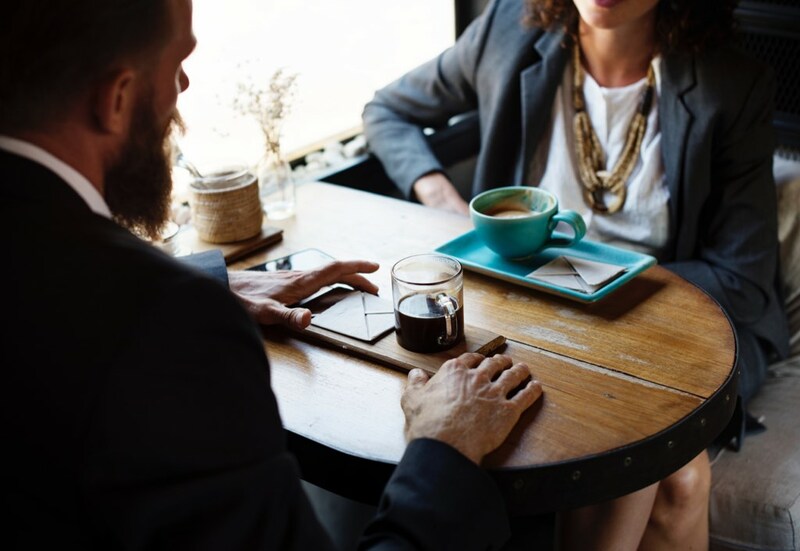 If meeting clients over coffee is your preferred selling style, check out our interview with Tommy Lindström about nudging. Using nudging you can use a simple coffee conversation to sell by focusing on the customer’s frustrations and pains. Reduce the feeling of being a hustler and take a more consultative approach when selling by gaining insights into what your clients value. Do you know of a similar smart social move that can make a huge difference? If so, I’d love to hear about it!